Billie teaches classes in her studio bi-weekly. 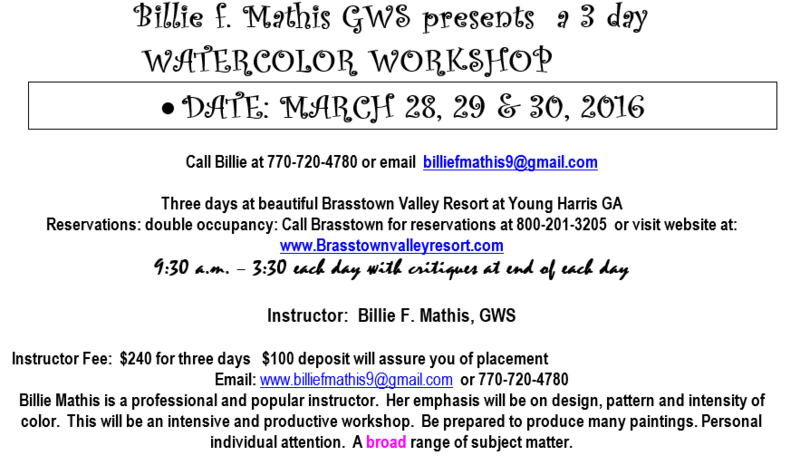 She also holds watercolor workshops in the South and Southeast. For instructional videos or DVDs ($29.95 plus $4.00 shipping) contact her by phone (770-720-4780) or email (billiefmathis114@gmail.com). 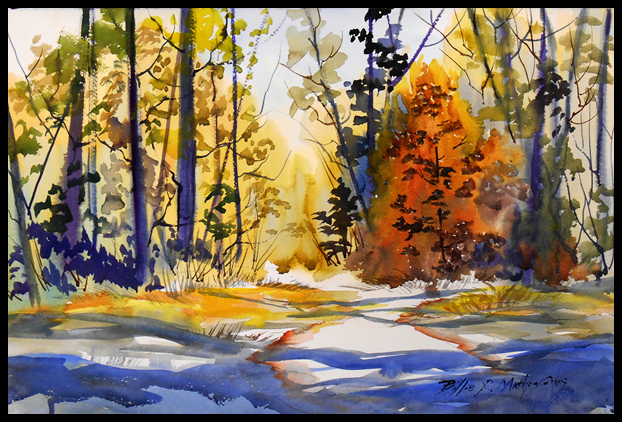 Her newest video, titled "Painting Loose" in Watercolor, is 65 minutes long and is a complete instructional painting of a lake scene with figures. Ongoing one day workshops every other Tuesday 9:30-3:00 at Billie's studio in Waleska, GA.
copyright © 2008 - Artshow.com. All rights reserved.